The most effective marestail control program should start with fall treatments, especially in fields with a history of marestail problems or fields that we can see now with adult plants setting seed. A number of different herbicides can be applied in the fall for marestail control ahead of soybeans, such as 2,4-D, dicamba, Clarity, Sharpen, Canopy EX, Autumn Super, or Valor XLT. The addition of glyphosate helps control grasses and other broadleaf weeds, and can even help on glyphosate-resistant marestail. 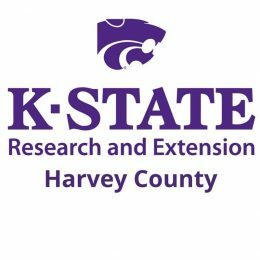 Herbicide effectiveness on marestail depends largely on the stage of growth and size of the plants. Marestail generally is most susceptible to herbicides when it is small and still in the rosette stage of growth. Once marestail starts to bolt and exceed 4 to 6 inches tall, it becomes very difficult to kill with most herbicides. Since marestail can germinate throughout much of the year, a single herbicide application probably will not provide season-long control, particularly in no-till. Fall applications can be effective even into December as long as applications are made to actively growing weeds during a stretch of mild temperatures. In fact, for fall applications, it may be better to wait until November to allow most of the fall-germinating winter annuals to emerge. A residual herbicide such as metribuzin-, Valor- or Classic-containing products (unless the marestail is ALS resistant) can be added to help control marestail through winter and early spring. But don’t expect a residual herbicide applied in the fall to provide good residual weed control through the spring and summer of the next year. If a fall treatment isn’t made, early spring treatments in March to early April should be applied to help control fall-germinated marestail. I helped with the Harvey County tillage survey this week and saw evidence of insect damage across the county. When soybeans turn yellow at an early stage of growth, there are several possible explanations.